4.7/5 out of 572 votes. - Personal pride and joy in living. - Opens the path for perception and learning. 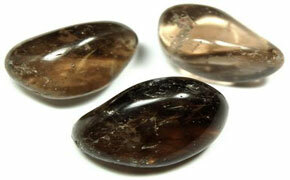 Smokey Quartz is a protection stone that cleanses and clears negative energy. Smokey Quartz is a grounding stone that transmutes negative energies and facilitates your ability to get things done in the practical world. It enhances organizational skills and is good to have around in the workplace or home office. Smokey Quartz is connected with the sounds of the universe. It makes you more aware of sounds including telepathic sounds. Smokey Quartz helps relieve depression.